If you think only actors and actresses were the one to demand a fat paycheck, give yourself a break because there are some other roles on camera that give you a chance to ask for a well deserved pay. Yes, we are talking about being an anchor. News anchors demand a hefty amount for the job. News anchors become a face of a channel. People get comfortable listening to news from them. 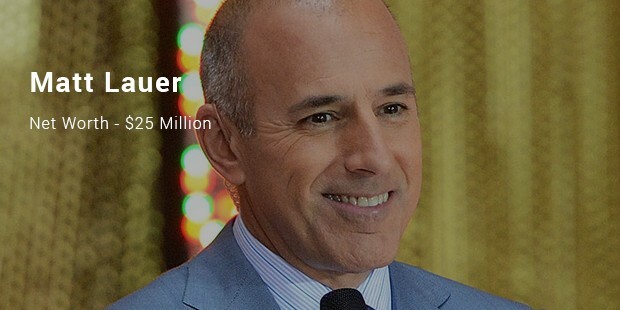 Matt Lauer is a NBC anchor. His career in journalism includes an array of memorable interviews. He has interviewed Presidents to Princes to celebrities. 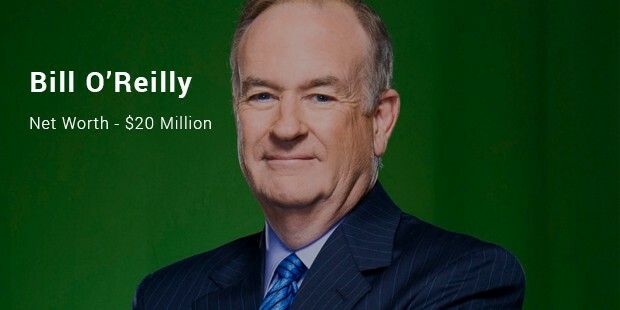 He works four days a week and still tops the list of the richest news anchors..
Bill O’Reilly is the anchor of The O’Reilly Factor on Fox News. 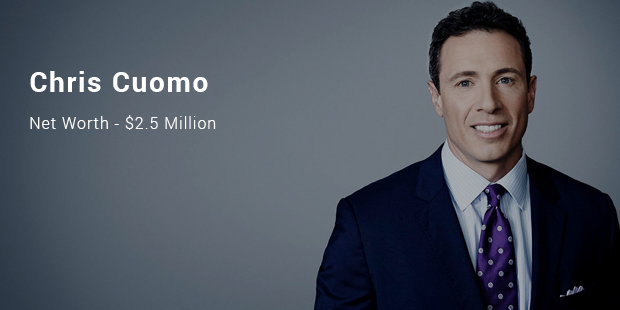 He is with Fox News since the start of the channel. His show is one of the most popular shows. 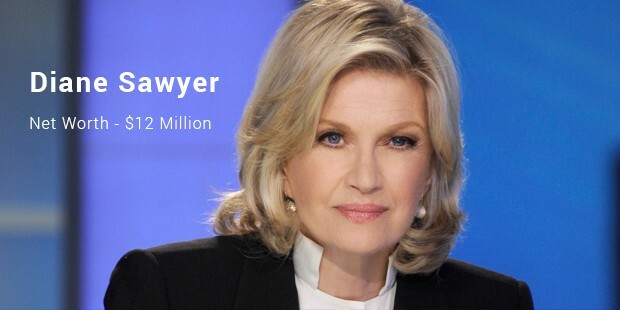 Diane Sawyer is the anchor on ABC world News. She started working for CBS in 1978. She started her career as a correspondent and later became an anchor. She is one of the richest female news anchor’s of the world. 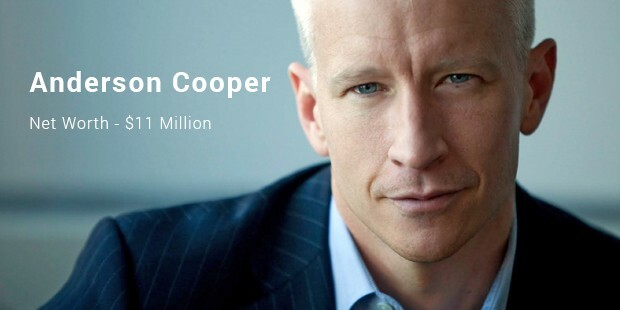 Anderson Cooper works with CNN. He has been awarded with eight Emmy awards and an Edward R. Murrow award. 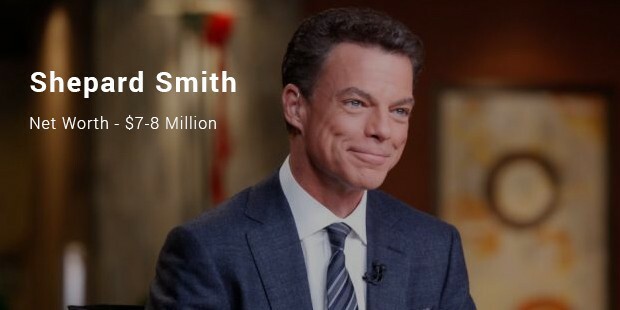 Shepard Smith is the chief news anchor on Fox News. Along with anchoring he is the managing editor for the news channel’s breaking news division. He has been with the channel since its start.